At Mercuri we pride ourselves on providing the simplest, most user-friendly conferencing experience possible. Recently we heard from some of our customers about a little confusion around the best way to conduct an international conference call. Conducting a conference call with participants all over the world is not as difficult as it seems. Conducting a conference call with participants all over the world is not as difficult as it seems. There are some simple steps you can take before the meeting to ensure everything goes according to plan. Most of our clients connect to their meeting via a toll-free 1–800 number. However, these numbers often do not work outside of the US and Canada. In some cases the number can be called and and connected but your local carrier’s long distance fees will still apply, defeating the purpose of a toll-free number. So what’s the best way to get around this? Here’s the good news. 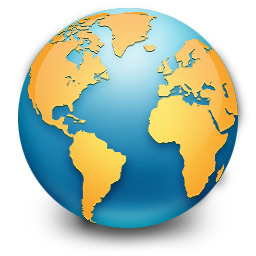 Mercuri provides local and international toll-free numbers in over 100 cities and 50 different countries, which are available at numbers.mercuri.ca. Conference planners can reference this page beforehand, or include the link in their meeting invitations so participants can choose the best option for their location. For convenience these links are included in Mercuri’s Outlook Scheduling Tool and the online Self-Care utility. International toll-free numbers work best when called from a landline, because not all mobile carriers have agreements with international providers. If the participant must use a mobile phone we recommend test calling the toll-free number in advance to ensure everyone is connected on the day. If landlines and mobile phones are both unavailable, Skype is an acceptable last resort. We strongly recommend using a headset and microphone instead of your computer’s built-in mic. Although Skype offers a VoIP dial-out feature, you’ll have a better quality call by connecting directly to our Skype contact “mercuri.bridge1”. Mercuri also offers an HTML5-based application for connecting to conferences from your browser, which is available at mercuri.ca/phoneWidget. So what happens if you’re trying to conference with someone in Tuvalu or Burkina Faso? Countries with poor telecommunications infrastructure rarely offer international toll-free services, and Skype may not be an option as high-speed internet is required. 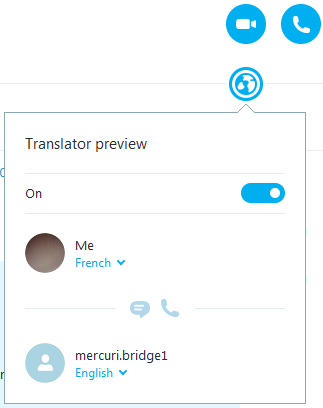 Self-dial-out is available is available at callme.mercuri.ca. Participants enter their passcode, phone number and select the country they’re located in. A dial-out can be scheduled ahead of time, so when the chairperson starts the meeting the participant will be called and connected to the conference. Chairpersons can use the Conference Viewer to dial-out to participants anywhere in the world. For a more detailed look at he Conference Viewer, check out this video. If the participant is in an area without internet access the chairperson can request that touch-tone dial-out be activated on the account. An operated-assisted conference can be arranged in advance. Our operators will dial-out to the participants and ensure everyone is connected to the meeting properly. International conferencing can seem like a daunting task, bit with a little preparation and care it can be as easy as the average phone call. If you have any questions about the specifics of you international conference don’t hesitate to contact your Mercuri representative. We’re always happy to help. And it’s a good thing I wrote that idea down, because I’ve forgotten it already. You dial into a meeting. You’re connected quickly and everything seems okay. You’re not really here to do anything of import, just listen to the conversation, only contributing if it’s absolutely necessary. At some point it becomes necessary so you un-mute the mic in your webcam, say your piece and mute the mic again. 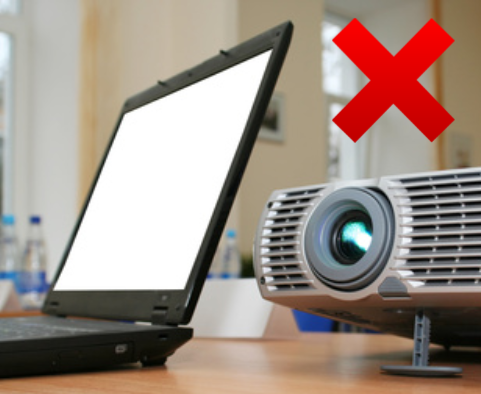 You’ll never hear it but a projector or other device near your laptop can generate unwanted noise into your laptop microphone. Someone asks you to repeat yourself. They heard you speaking but your voice was broken and overwhelmed by the fan on your desk. You repeat yourself. Same problem. You have no idea what’s going on, and your very unhappy about it. But don’t worry, there’s a simple and inexpensive solution to your problem. Your webcam was never built to provide high quality audio. The microphone was added as a selling point, not a dedicated tool. It’s small, positioned too far away from your mouth, and is by necessity an omni-directional microphone. That means it’s not just listening to the words from your mouth, it’s listening to every little sound in the room. The same goes for the mic built in to your laptop. So a webcam mic is out, but that’s not a problem because you’ve already come up with a solution. Aren’t you clever. Your smartphone came with a pair earbuds that have a little microphone attached to the cable. Perfect, you think, This should solves all of those little problems. If only things were that simple. Those earbuds solve problems like ambient noise and poor mic placement, but you’re still facing the biggest problem of all: your computer’s sound card. 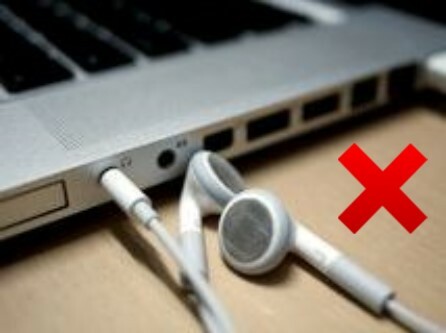 Earbuds plugged into your laptop still use the laptop’s sound card. Like the microphone in your webcam, your sound card wasn’t built to be anything special. It handles audio playback well enough but the mic components are often thrown in as an after-though. They exist so a user can do the most basic sort of sound recording; talking into a microphone and playing it back at a different time. Conferencing demands simultaneous audio recording and playback, which your stock sound card wasn’t designed to handle. Speakers and microphones generate sound through an analog process while your computer only understands digital signals, so the sound card has to translate these signals. To save the manufacturer money the playback and recording conversions are handled by the same circuitry. The sound card’s primary function is audio playback, so when it’s required to deal with playback and input at the same time the input quality tends to suffer. So how do we solve this? It’s simple: don’t use the sound card. USB headsets are designed for real time communication. The headset contains its own very tiny sound card, which uses separate circuitry for encoding input and decoding playback. You computer won’t have to do any of the processing internally, which frees up power for heavier tasks like a video conference or desktop share. 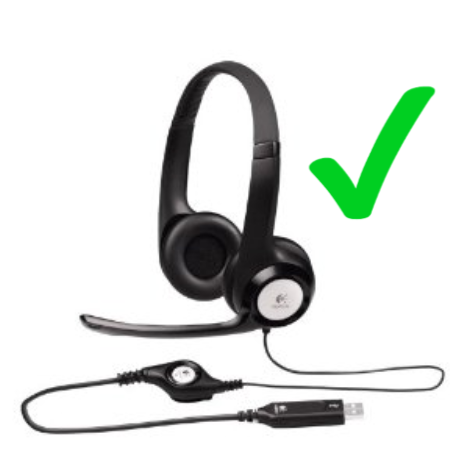 Most importantly, a USB headset puts the microphone right next to your mouth. It doesn’t have to be omni-directional or boost the gain to hear your voice. You talk, the headset listens, and sends sends impeccable audio into your conference call. A USB headset is the only web audio solution that works! A USB headset is a simple and inexpensive tool to improve your web conferencing experience. You could stomach the poor audio from your laptop’s microphone, or wonder with increasing anger why your white earbuds don’t do the job any better. Or you could spend a little money on a headset and not have to complain again. Trust me. Go with the third option. It’ll be the best fifty bucks you’ve ever spent.